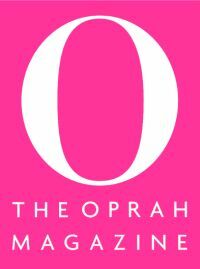 So I’ve given you the background of my leap of faith to becoming an unpaid intern in the fashion department at O, The Oprah Magazine. Now comes a breakdown of my three months. It’s not all glamour, but it has its moments of glam. It’s not all about pretty packaged gifts, but it does include being around pretty things we wish were gifts. Being an intern has moments of paging through amazing magazines I’d never heard of for references, but also making copies of them. Drinking smooth and delicious coffee while picking the brains of industry leaders, but also picking up that coffee, skinny dark hot chocolate, skinny single latte and full cream chai latte for the industry leaders. The role of intern is not too small nor is it too big, it’s not child’s play while all the same time everything any lover of life’s gorgeous things dreams of as child. An intern is all that and so much more. I was a sponge soaking up the information as well as being a fresh set of eyes; imparting whatever knowledge I had accumulated in my life leading up to the moments of creativity. And so I’ll paint the picture, of my life as an intern, as part of a team creating gorgeous pictures, in a few short strokes of my keyboard. In Part two of the intern chronicles, I’ll tell you a little about first day and first shoot. The first day was mainly a briefing session with The Robyn, Fashion Editor, and The Luisa, fashion assistant, notepad and pen in hand (even though I wished I had a mini recorder for all the info flying around), I soaked it all up. All I needed to know about my responsibilities for the next 3 months, what needed to be done, how it would be done etc. At the end of each day, we would have a ‘what have I learnt today’ session where I would share my learning’s from the day. The first day went by very quickly and I knew I’d made the right decision – this was a world I knew very little about. As much as I have ‘acceptable’ personal style, conveying the language and conversation of fashion is something else all together. Robyn honestly is a Goddess when it comes to the world of fashion and style and not a single moment with her is wasted. Starstruck. That’s the only way to describe the first shoot. All through the week I had enjoyed dropping Terry’s name while picking up dresses, shoes, accessories from various stores and designers for the shoot. My excitement could not be contained. My first shoot! 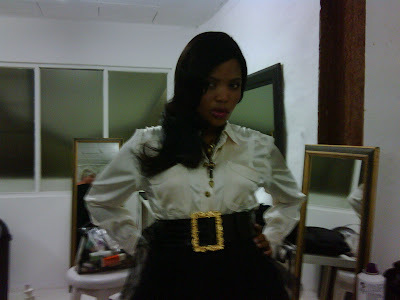 With award winning actress, model and Face of L’Oréal, Terry Pheto! Yes, yes, thank you ma’am! We were photographing Terry for the Real People feauture for the Success issue of O magazine and she was dressed by amazing South African designers Thula Sindi, Gavin Rajah and Stefania Morland to name a few. The starstruck moment had to end though as I’m not there to just stand around and listen while Robyn chats with the star. 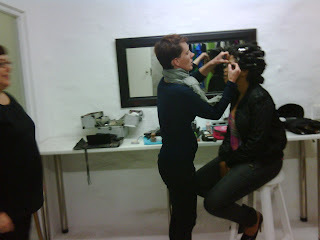 While L’Oréal make up artists Sylvie took her of the make up, work had to be done. Clothes to be arranged and steamed, coffee to be bought and had, recording the items to be shot for credits, model to be undressed, dressed & clamped. On set, you need to constantly be on your toes. No time to just stand around. Can I just mention how gorgeous Terry is. Every shot was perfect and had it’s own personality coupled with the outfit. She has the most beautiful face, arresting smile, and curvy, well-toned real woman body, tall and just stunning. Add to this, she’s funny, witty and she has this thing about that makes you feel acknowledged when she talk to you. I could go on, but I think I’ll keep my girl crush to myself. I also gained a lot of respect for photographer, Anthony Friend. The man knows how to get the best out of the ‘subject’ and completely compliments the needs of client. I love the way he knows how to direct people and it isn’t the same for every one – this is a skill required as much being able to capture an image, I say. 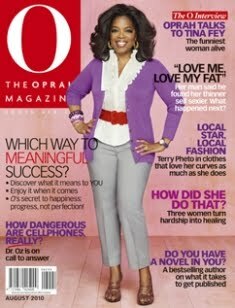 Check out the August issue of O magazine for the shoot. OUT NOW! !